Oh, they look marvelous! I like your suggestions for an overnight rise and use of sourdough starter. Since my rye starter is revved up at the moment, I may put these on the list. Oh, wow, these look fantastic. I tried this recipe, too. And I like your idea of letting the dough rest to develop more flavor. 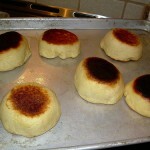 My husband also really loved the homemade English muffins. Marvelous nooks and crannies! We loved them too. Good idea to retard them overnight, I will try that in the future too. 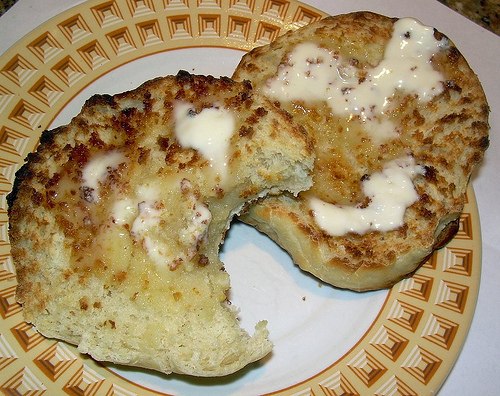 That last shot of the english muffins with the bite taken out of it and the butter melting all over it has me wanting to go back and make them again. Your english muffins look so good! I can’t believe it was your first attempt! I’ve been wanting to try these forever but haven’t gotten around to it yet. Personally I think your nooks and crannies are every bit as good as Thomas’, and the taste has to be so much better. And they’re so nice and tall, perfect for sinking your teeth into! Yum, sums it up. This brings back memories when my husband did not know about celiac and ate read bread and rolls and English muffins. 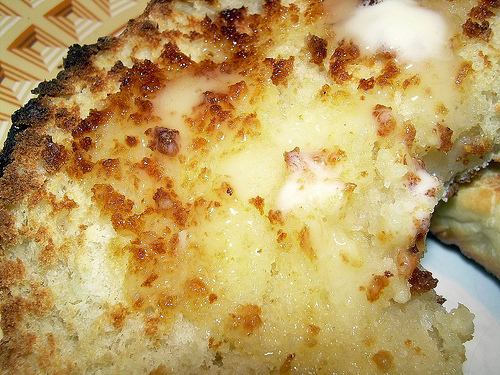 It was common to see an English muffing with something delicious spread on it. Those were days. 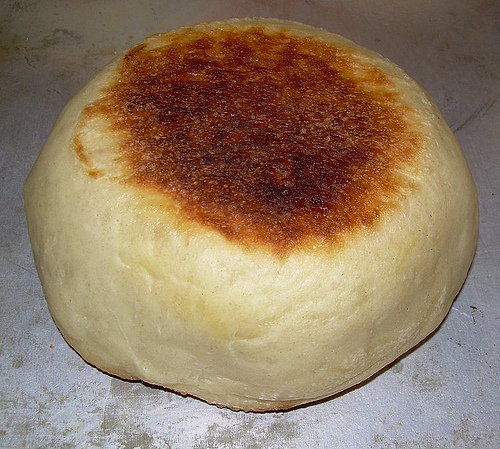 Your english muffins look perfect! Awesome job.